I know these images have been virtually all over the place by now, but I just want to have a little self-note before the season actually comes, that this winter I will be robbed by Zara no less. 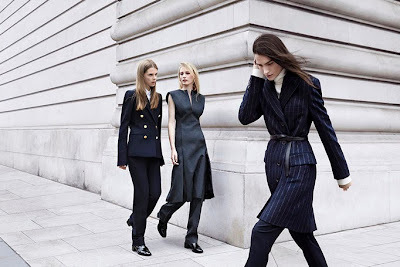 The campaign offer high-end worthy pieces, which are influenced no doubt by Celine and Stella McCartney this season. Loving the grey coats and sleek suit jackets already!